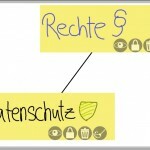 Mind-mapping is an effective and universal creativity technique, which allows to break down complex topics in a group activity. 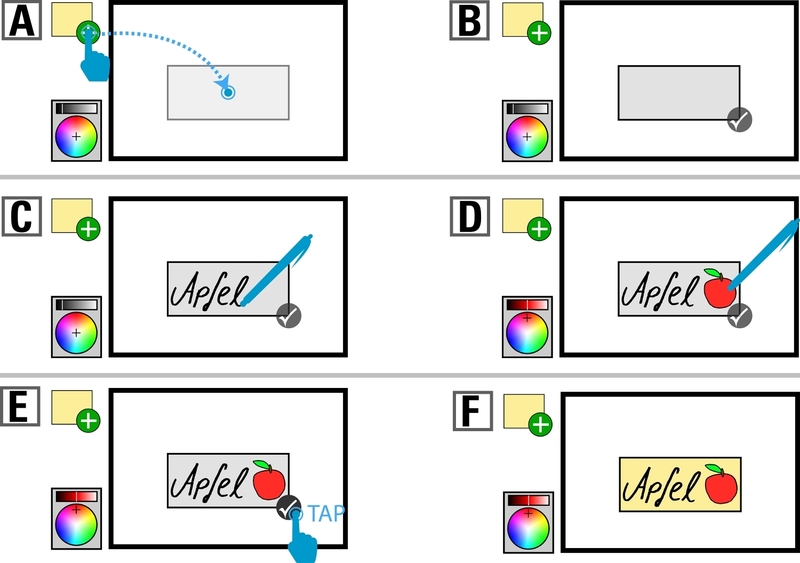 Therefore keywords, notes or images are being associated to a superordinate topic, in order to gradually create a compact visualization of a topic. 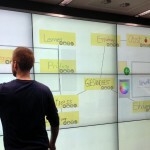 Large interactive display walls allow the collaborative creation of mind-maps due to their size and options for interaction so that the users can individually create parts and integrate them into the collective mind-map. 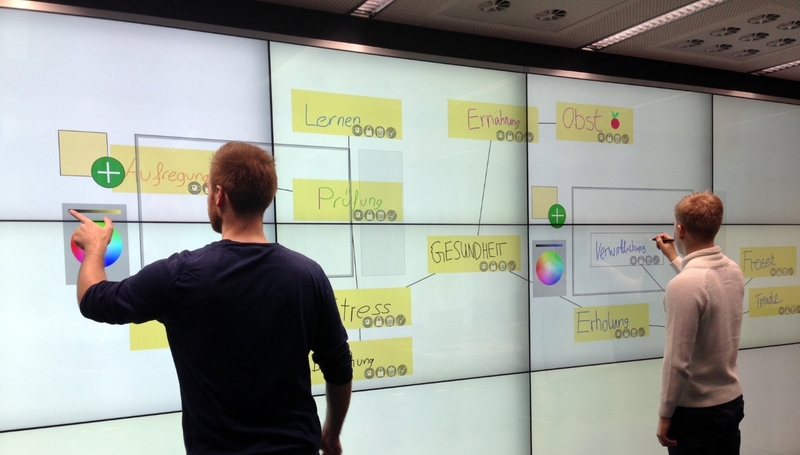 As part of this thesis, suitable concepts for the creation of mind-maps on interactive display walls are being presented. 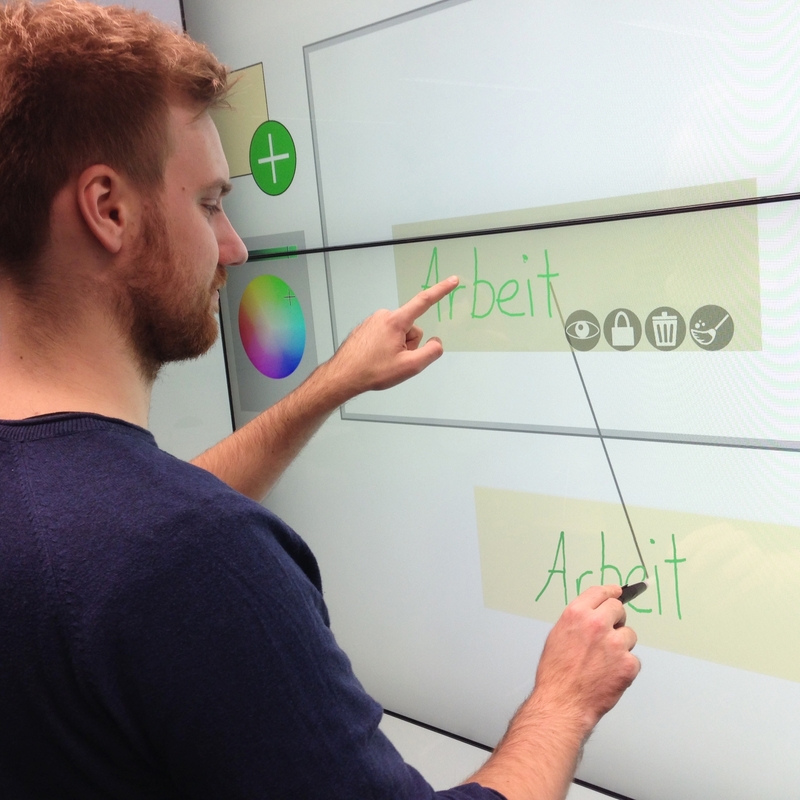 In this context, the emphasis is lying on the possibilities of using the position of the user in front the display wall, in order to offer every user a personal lens and thus access to personal tools, as well as the interaction with pen and touch in order to create and move mind-map-elements. 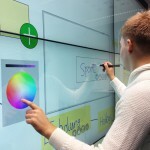 Therefore related work of the topic areas: mind-maps, collaboration and interaction at interactive display walls and Magic Lenses will be analysed at first. 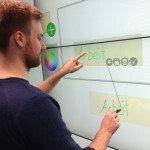 Based on a fundamental understanding of these three domains, concepts for the collaborative creation of mind-maps on interactive display walls using personal lenses are being presented. 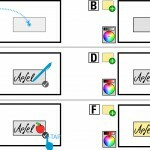 Selected concepts were prototypically implemented and offered first promising insights on how the mind-mapping of the future could be done. 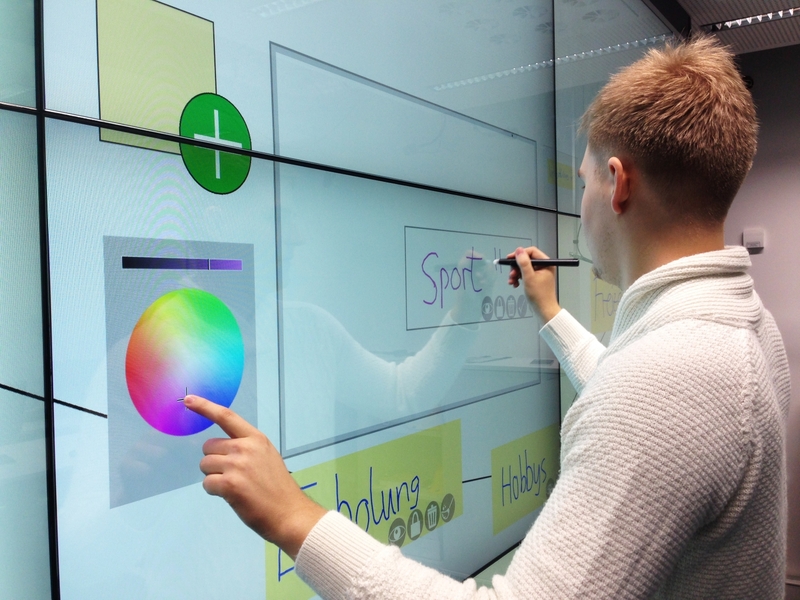 In the process the particular benefit of a personal lens as an individual visualization- and interaction-interface has been recognized.